London’s South Bank river walk is a great sculpture trail, with fascinating stories behind the public art on view. In this guide, Tim Hollins uncovers some of the strange histories to many of the sculptures there and invites you to be an art critic by deciding what you think about each piece and what works or not as public art. 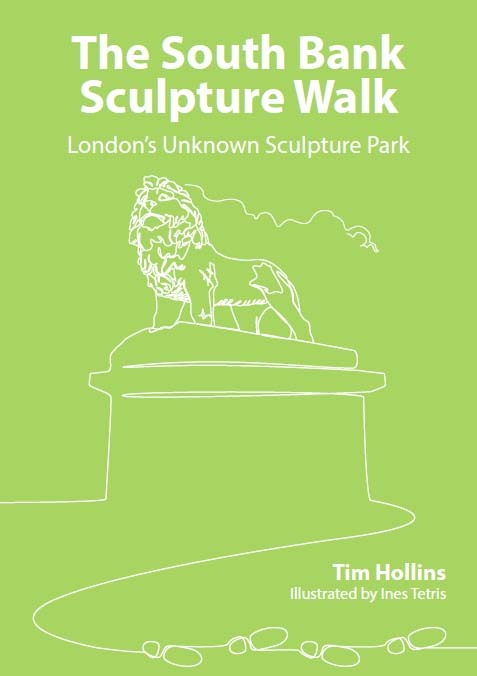 With beautiful ‘continuous line’ drawings by Ines Tetris, this guide brings to life the many sculptures between London’s Westminster Bridge and National Theatre.